Nicole has been involved in family law in several capacities for over ten years. Prior to attending law school, she worked as a paralegal at a small Columbus law firm focused on family and real estate law. She was heavily involved with family law clients while working at that firm and eventually decided to advance her career by attending law school. 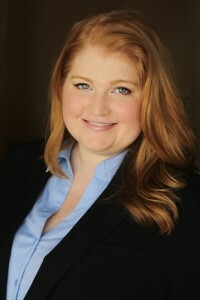 Nicole attended Capital University Law School and graduated in 2011 with a concentration in Child & Family Law. While attending law school, she worked with the school’s Family Advocacy Clinic. At the clinic, Nicole focused her research and work on domestic violence issues. She co-authored a brief on Battered Woman Syndrome that was submitted to the Supreme Court of Ohio. Since graduation, Nicole has focused her entire practice on family law matters. She has handled both complicated and simple family law cases in several counties throughout Ohio. Nicole is active in the legal community and regularly attends and participates in committee meetings.